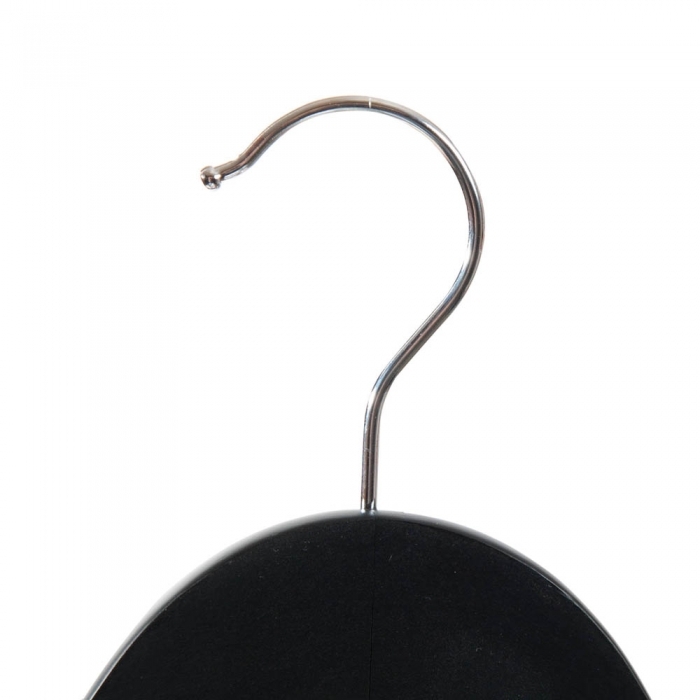 Black flat wooden shaped top hanger which is 43cm Wide (430mm) with Notches. Comes with a chrome hook. Sold as a box of 50 hangers. 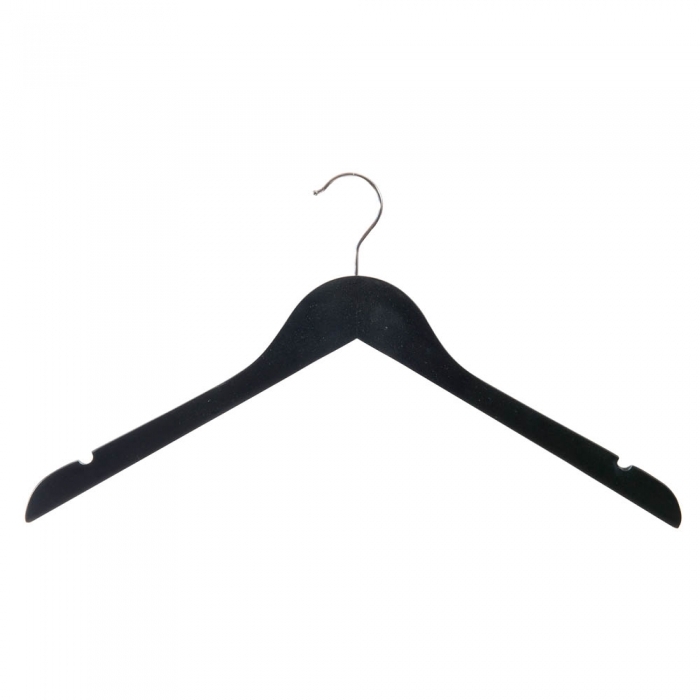 Perfect for the retail environment and sold to retailers throughout the UK and equally suited to the home the wooden shaped top hanger is ideal if you require a hanger for garments such as T-Shirts. 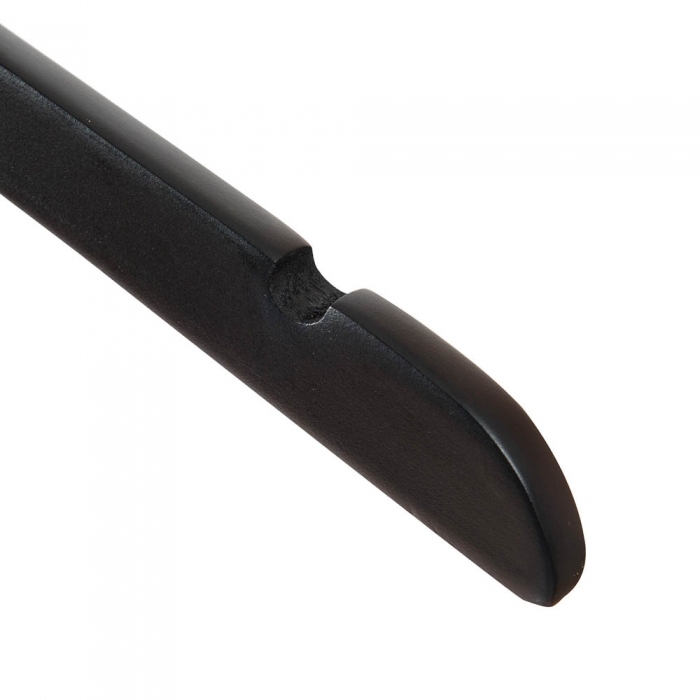 Ideal for the retail environment and extremely popular with retailers as they are eye catching, modern and create that impact for your merchandised clothes.